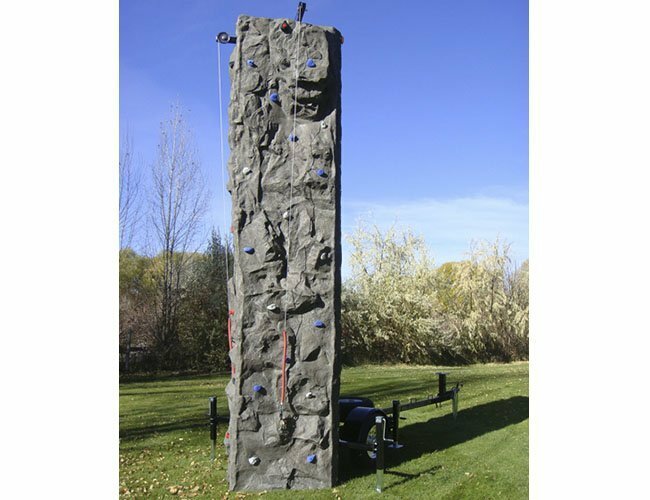 Rock Wall – (20′ high) This fiberglass wall has 2 climbing sides that will challenge the beginners, as well as the experienced climbers. Safety features include an automated belay and hydraulic system that allows climbers to slowly descend from the top. This rock wall will accommodate a 35-lb. child up to a 220-lb. adult.